Air conditioning is nothing to be taken lightly! Filter replacement or cleaning – This is so easy to overlook, but by replacing or cleaning your filter, you can ensure that your unit is running efficiently. When your unit is running more, tend to the filters twice a month. During slower times, once a month is adequate. Mark on your calendar to remember this task. Outdoor coils - This is one of the biggest items to keep your unit running at peak performance is to make sure the air is freely flowing over the outdoor unit’s coil. Make sure the unit is free from debris, foliage, or anything that might restrict air flow. 4. 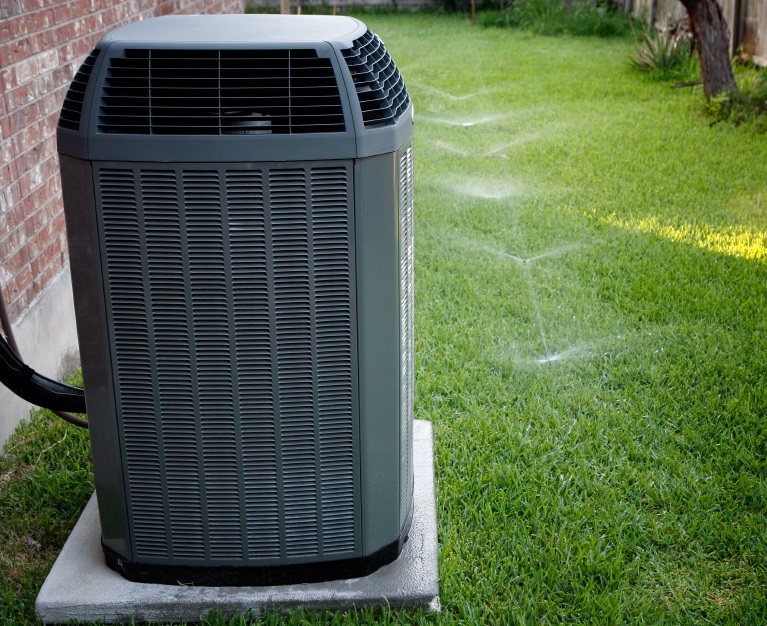 Routine maintenance – At least once a year, your unit should be serviced by a trained HVAC technician. In some instances, doing the work yourself could void your warranty. Contact your HVAC provider for specials on regular maintenance. There are also opportunities for extended warranties by going through your HVAC service provider. There's more to renting your property than determining the rental price, finding a suitable tenant and making repairs when necessary. Of course, those are a few of the facets that accompany renting a property, but are you familiar with the most current landlord/tenant laws? How about the legal screening of a potential tenant? Do you perform an annual property inspection? Tour property prior to renting – Property managers will inspect your property and point out any potential hazards or repairs that my need to be completed prior to placing it on the market. Often, owners may unintentionally overlook a repair and not realize the importance of getting it fixed prior to a tenant taking possession of the home. Marketing of your property – There’s more to placing a sign in the yard or throwing a few ads online. First, your homeowner’s association may not approve of signs in the yard. Professionals know the HOA rules and the appropriate sites to attract the best renters for your property. Screening the potential tenant, collecting the deposit and presenting an attorney-drawn lease – Running a background check is just the start of screening a party prior to turning over the keys. Will they be able to make the monthly payment? Do they have a sufficient deposit! What about pets? How many people will be living in the home? Also, do you have a legal and binding contract? Handling repairs – Do you really want to answer the phone at 2 a.m. to find out that your renter has no air conditioning or heat? Are you well versed in the best vendors for every conceivable repair? 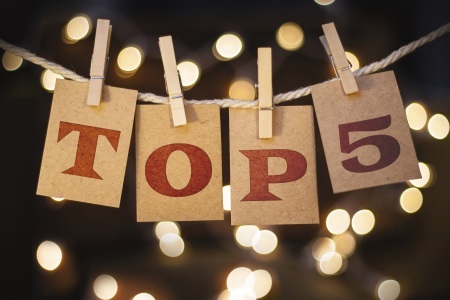 Not only do they eliminate those middle-of-the-night calls, but property managers have a vetted list of the best vendors, whom the property manager has built a relationship with. These vendors can often get to the property much faster than if you were to call out of the blue. Annual property inspection – By thoroughly inspecting the property, professionals can ascertain whether there may be upcoming problems. For instance, there may be safety issues that you wouldn’t see just driving by. A leaky refrigerator may be a sign of bigger problems. Air conditions filters that haven’t been changed can be putting unnecessary stress on the HVAC system. At FPM Properties, not only do we do all this, but we do much, much more. To see a list of our services to compare us with other property managers, click here. We encourage you to give us a call at (904) 246-1200 and we’ll gladly answer any questions you may have about hiring a property manager. Are you ready for Hurricane Erika? With the possibility of Hurricane Erika approaching our area, it’s a great time to remember those important to-dos and purchase necessary supplies. It’s never too early to get ready. The first step in being prepared is to stay informed. You should plan for both options. Take into consideration your situation, plus the strength of the storm. Whatever decision you make, make it early. In the case of evacuations, interstates could be turn into one-way roads, possibly not going in the direction that you planned. Prior to Hurricane Andrew hitting south Florida, all lanes of I-95 were turned north bound. Cover your windows with plywood. The recommended plywood would be 5/8” thick, exterior grad or marine plywood, cut to the size of your window. Don’t waste your time with tape. It has been proven that tape does not keep windows from breaking or glass from flying. You may want to reinforce your garage doors. Be sure to bring in all outdoor furniture, garbage cans and anything else that is not tied down. These items can become missiles in a storm. Water Restrictions Could Cost You! Everyone wants their lawn and landscaping to look lush and green, but at what expense does that come? In Florida, water restrictions are in place since about 50 percent of all water use is for residential locations. For homeowners, the St. Johns River Water Management District has water restrictions in place to ensure that enough water is available to preserve healthy foliage such as shrubbery, trees, lawns, ground coves, plants vines and gardens, year-round. Certain restrictions apply and you’ll want to be familiar with them, because violators may be subject to penalties. •Watering is strictly banned during the hours of 10 a.m. and 4 p.m.
•During daylight savings time (second Sunday in March through first Sunday in November, watering is limited to no more than 2 days per week. Addresses ending in an odd number are allowed to water on Wednesday and Saturday. Those ending in an even number may water on Thursday and Sunday. •Throughout Eastern Standard Time (first Sunday in November until the second Sunday in March), watering is allowed only one day per week. Odd addresses may water on Saturday and even on Sunday. •Watering is limited to the necessary amount to meet your yard’s needs. If you are not certain what that may be, the limit is no more than ¾ inch per zone per day or no more than one hour per zone per day. •Water restrictions do not apply to water removed from wells, lakes or rivers. It applies only to water from ground or surface water, a private well or pump, or from a public or private utility. For more information, visit http://floridaswater.com/wateringrestrictions/. 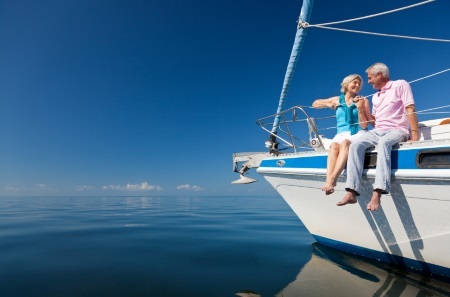 Choosing the Right Place to Retire? How About Jacksonville? There are several factors that go into making a lifestyle change like retirement. Cost of living, healthcare facilities, climate, and entertainment can all influence your decision. Let’s look at each component. Jacksonville is home to some of the finest healthcare facilities in the nation. With the Mayo Clinic, the Baptist Health system and University of Florida Health, it’s easy to find the perfect fit for you. With warm to tropic conditions, Jacksonville averages 221 sunny days per year with the average highs in July at 92 degrees and 43 degrees in January. With no threat of snow, it rains about 114 days per year. Entertain in plentiful in this northeastern Florida city. Jacksonville is home to the Jaguars (football), Suns (baseball), Sharks (arena football), Axemen (Rugby), Giants (basketball) and Armada (soccer). With 22 miles of beaches, it’s easy to enjoy water sports or just relax. And there are several venues including the Times Union Center for the Performing Arts, Veterans Memorial Arena and Florida Theater, all which host concerts, plays and lectures. Jacksonville is also home to the University of North Florida, Jacksonville University, Florida Coastal School of Law, Florida State College at Jacksonville, Edward Waters College and many technical schools. With just over 800,000 residents, Jacksonville feels more like a big town. Neighbors are friendly and home prices are low. The median home cost in Jacksonville is $111,900 and appreciation has been 11.9% in the last year. Call First Place Management today at (904) 246-1200 to inquire about homes for sale or rent.